An interesting question is beginning to be raised in terms of sustainable landscaping, how can we use annual plants in our sustainable landscape? This presents an interesting topic for discussion and we would be interested in your opinions. 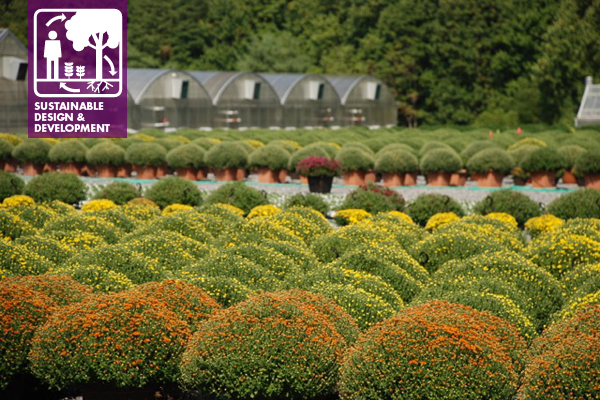 In most areas of the U.S., annuals can play an important role in many landscapes such as healing environments. The benefit of certain colors and mental restorative factors is a consideration in landscapes and human health. So how might we make the use of annual plants more sustainable? Could we perhaps use better more appropriate soils with healthy biology? Soils with moisture holding characteristics that slowly release water to the plants and extend the time period between watering. How about supplemental watering gained from rainwater harvesting systems and the use of composting on site? The University of Minnesota Sustainable Urban Landscape Series provides some good practices for herbaceous plant maintenance. Another source or reference looking at the production and growing of plants is VeriFlora. Like SITES – a focus is placed on ecosystems and protection of our resources. 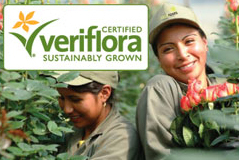 VeriFlora is an agricultural sustainability certification and eco-labeling program recognized as the gold-standard in the floriculture and horticulture industries according to their web site . As sustainable landscapes become a larger segment of the landscape market place we need to continue looking at all aspect of the landscapes and explore techniques to enhance the sustainability chain. These are a few of the resources to make your colorful annual plantings a little more sustainable in practice. Definitively, we landscape architects need to emphasize in our designs our commitment to sustainable landscape designs. With the current fiscal situation in our economy, our palette for landscape design should include plant material and other environmental friendly products that require minimal maintenance.The use of native material should be emphasized,Why try to grow azaleas in the middle of the desert ? The use of annual plants with their easy to care characteristics should be emphasized in our designs,but we also need to consider the replacement of these plants when the season is over.There should be a balance between perennials and annuals. Native vegetation and the use of grasses shuld be emphasized. I’m impressed! You’ve managed the almost iposmsilbe.